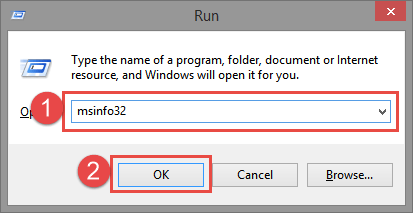 Many people have reported that KB3087040 is giving them error code 0x80004005 when they attempt to install it on their machines. The solution for this issue is to not install it through the Microsoft Update tool within Windows but to install it by manually downloading it and then installing it. The version you need to download depends on your system. First find out if you’re running Windows 10 64-bits or 32-bits. This difference is important. 3. Wait for Msinfo32 to load, then find System Type and see what the text says. 4. Then after downloading and installing the update reboot your system. 5. Run Windows Update again. Windows Update should be working fine again and the update should be installed. We hope these steps helped you to solve the problems you had with 0x80004005 occurring when you try to install KB3087040. If you need more help then feel free to visit our forums.